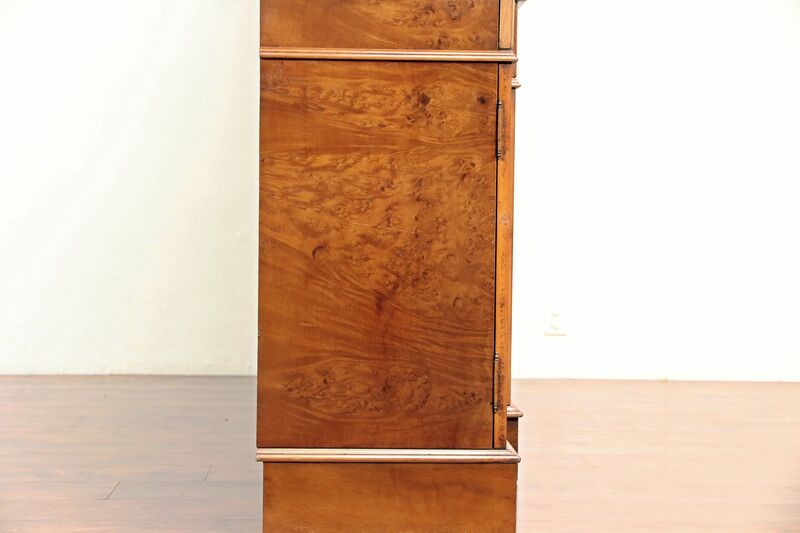 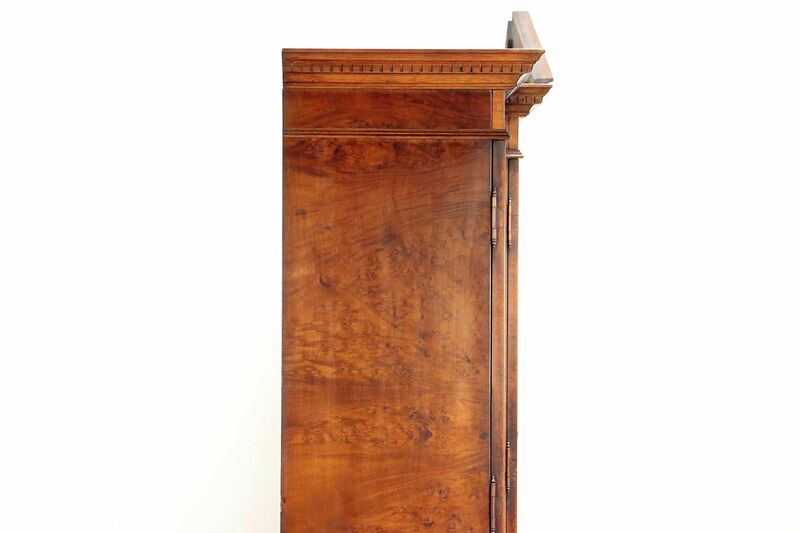 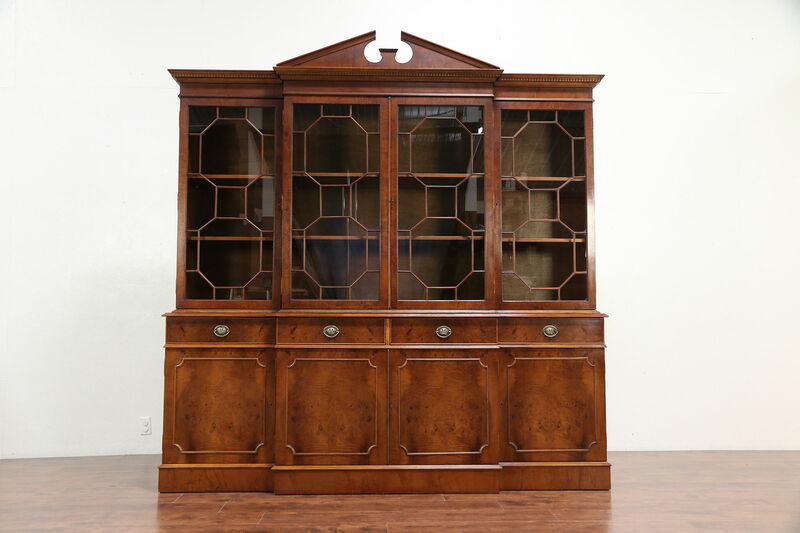 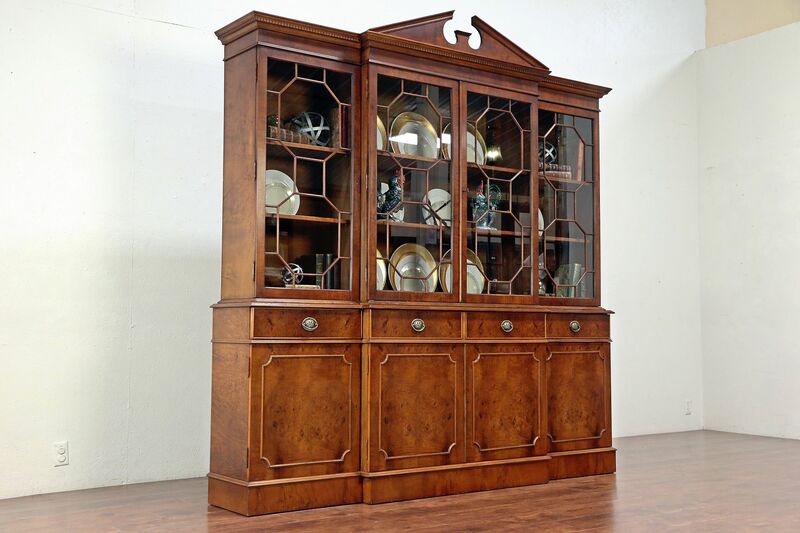 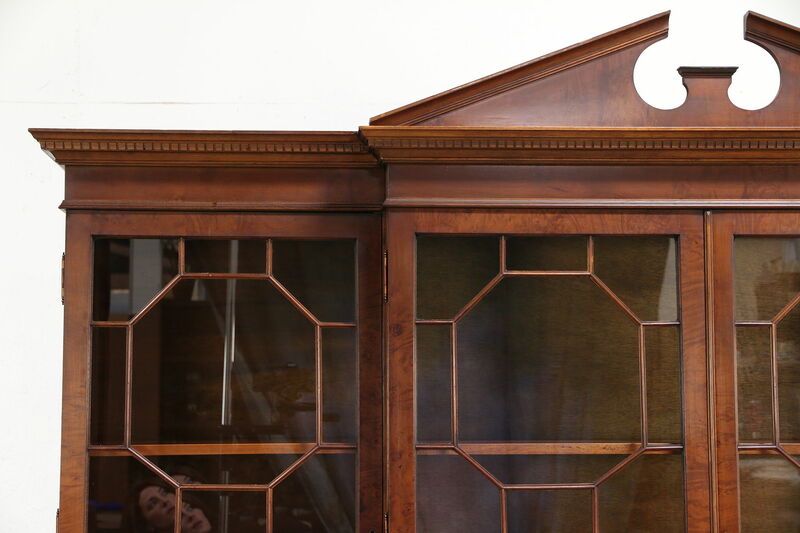 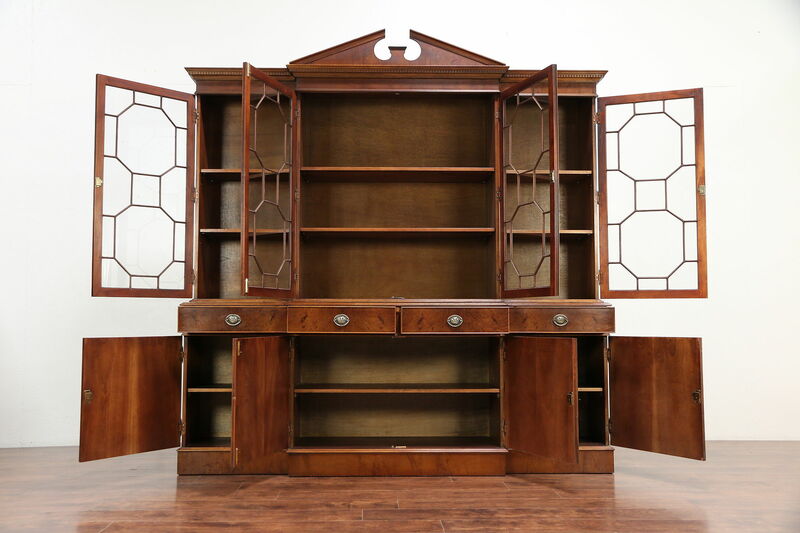 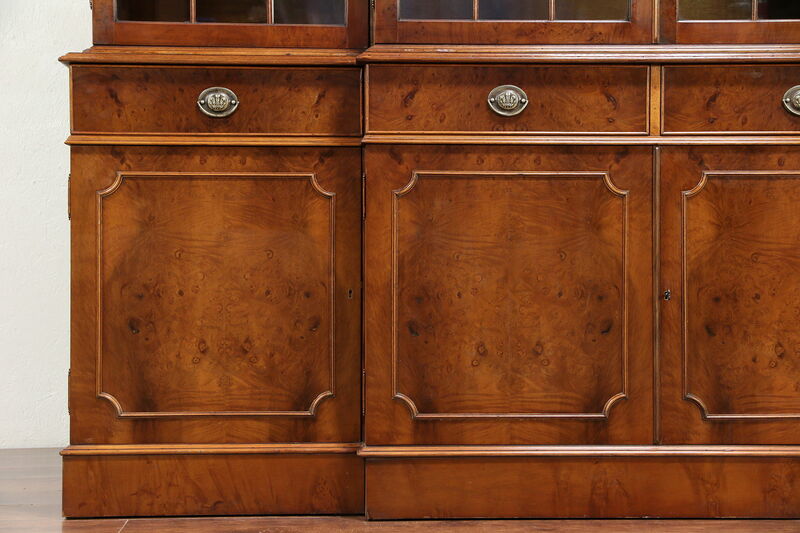 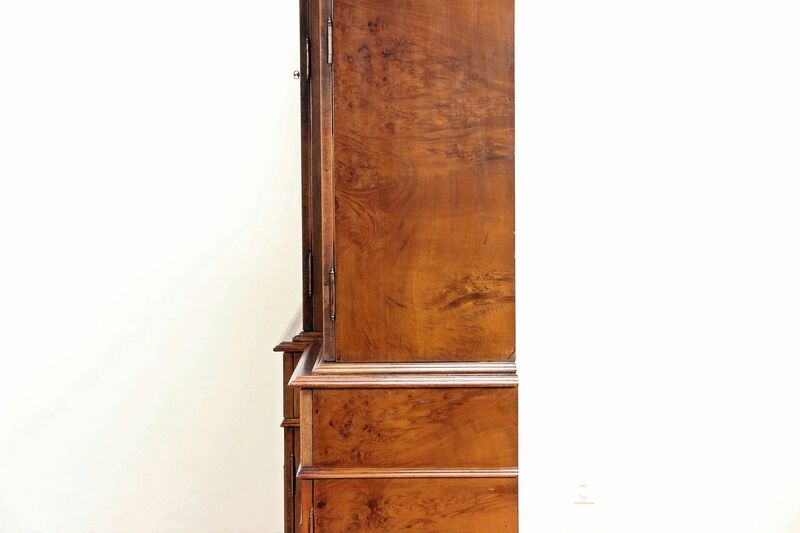 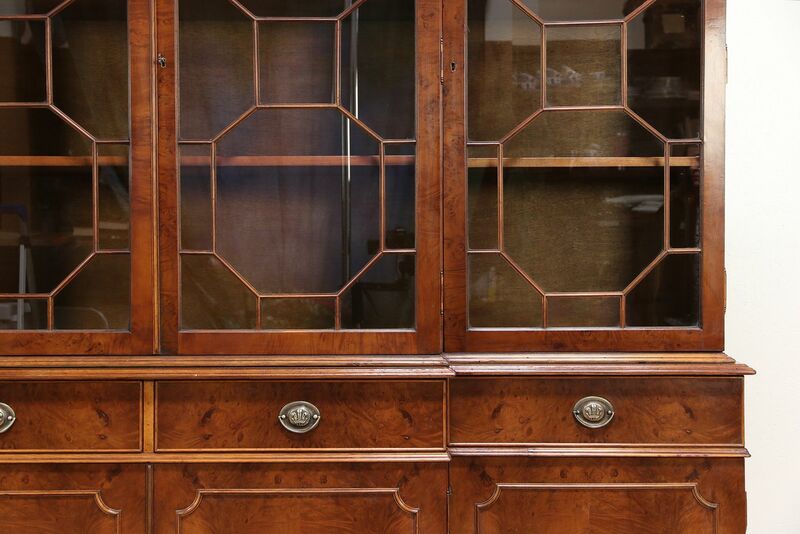 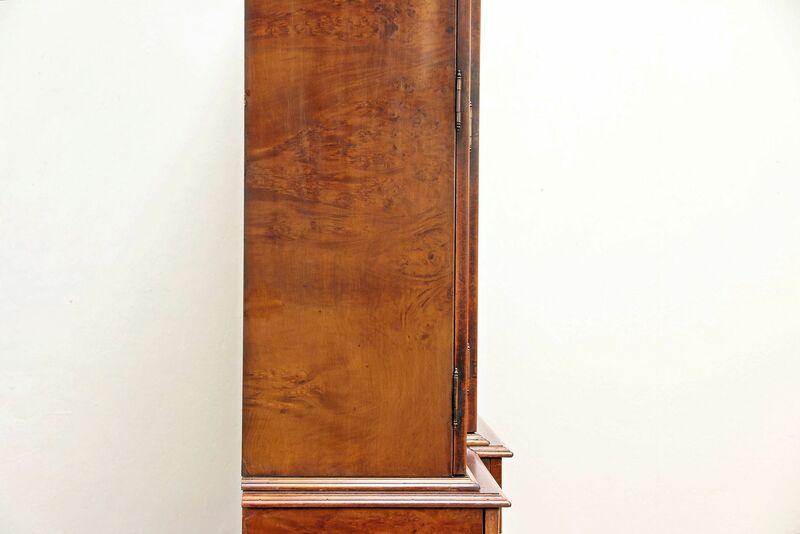 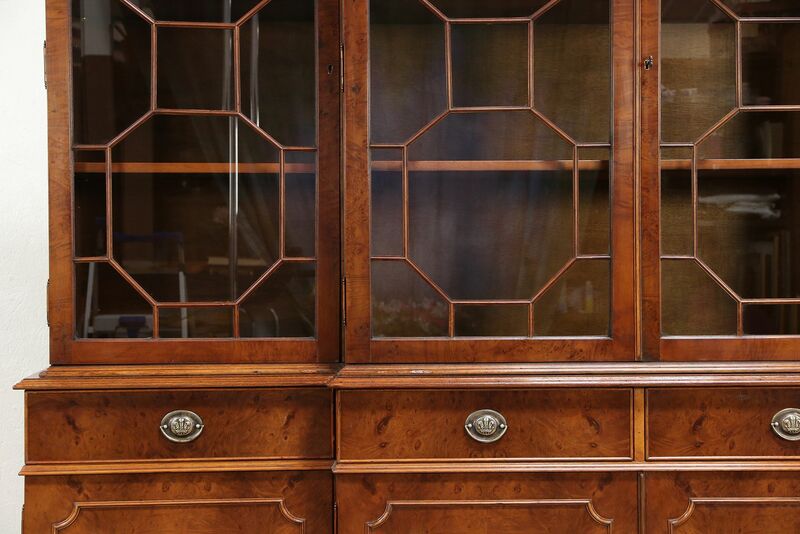 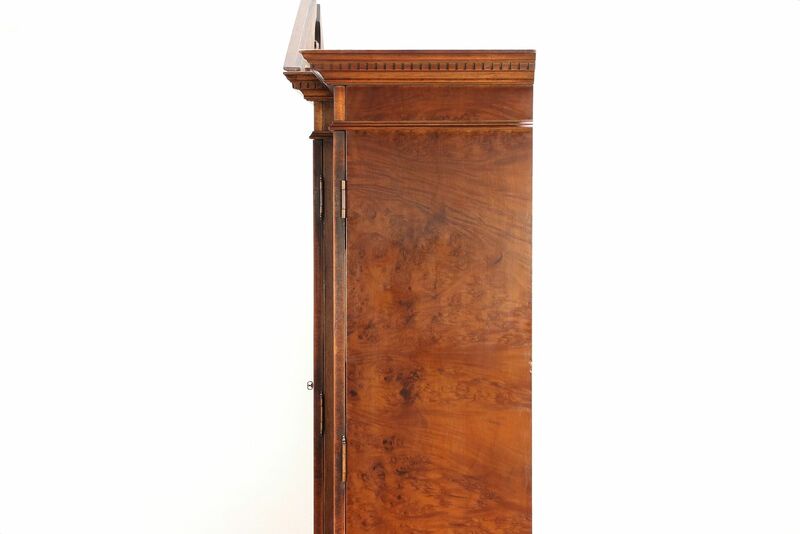 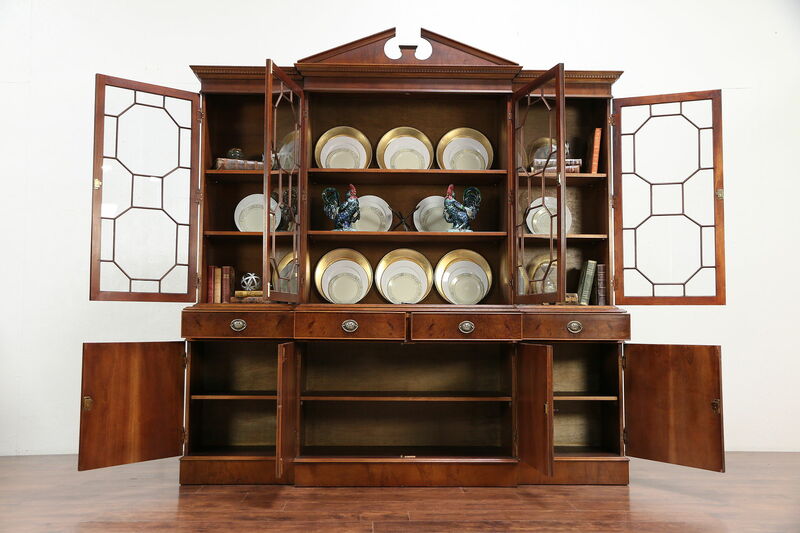 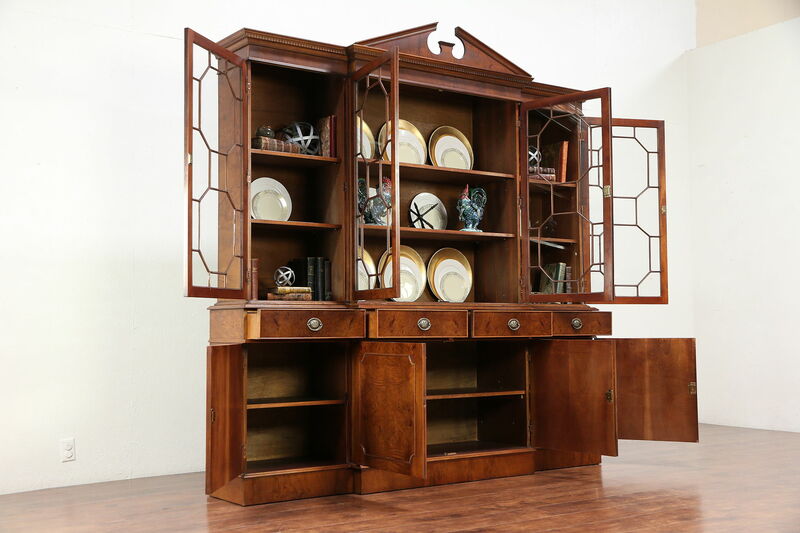 A traditional Georgian style breakfront china cabinet or bookcase is mahogany with matched intricate elm burl panels, expertly crafted in England about 50 years ago. 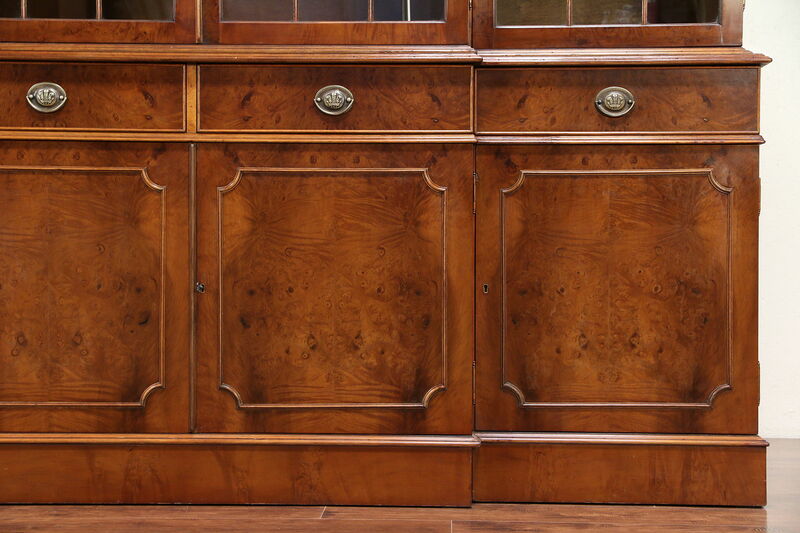 The original hand rubbed finish is very well preserved on this vintage furniture, with a few mars at the edges for a little character. 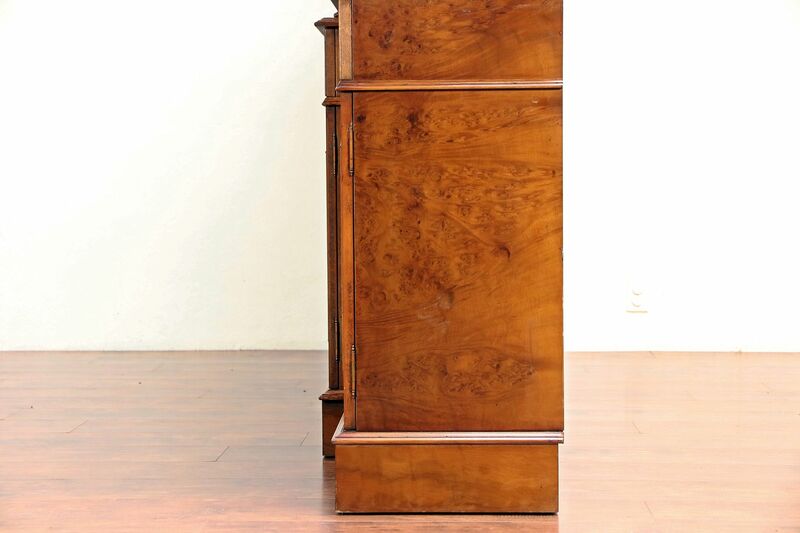 The top is a separate piece for easier delivery. 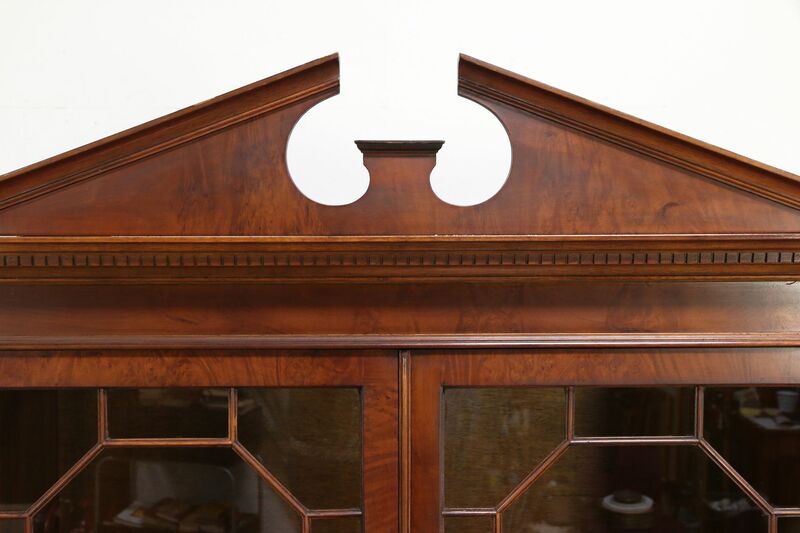 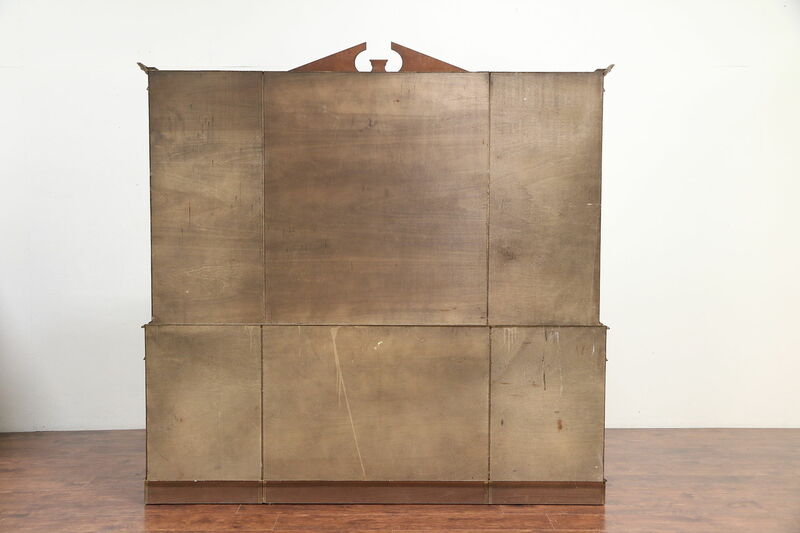 Upper adjustable shelves have grooves to display plates. 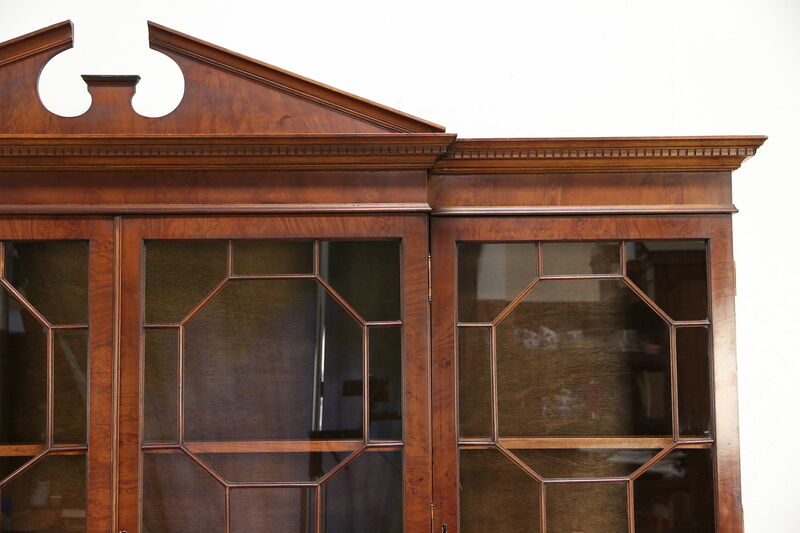 Doors have working locks, upper doors have grill work with individual panes of glass. 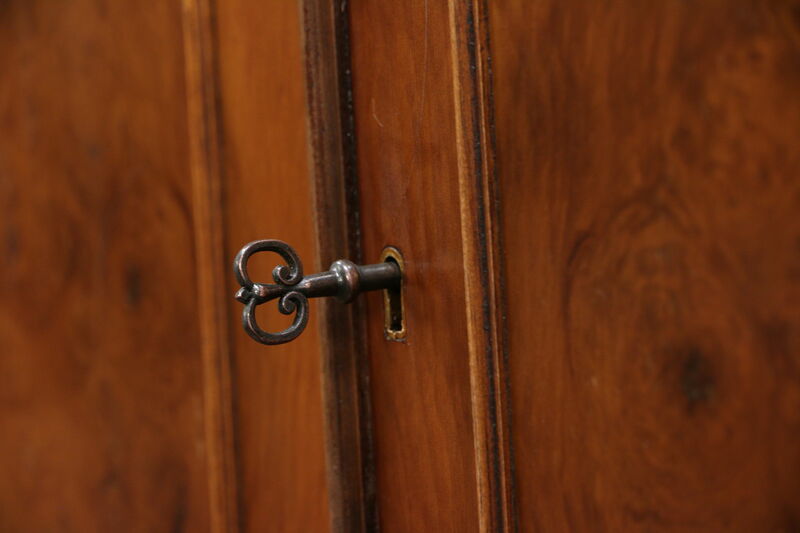 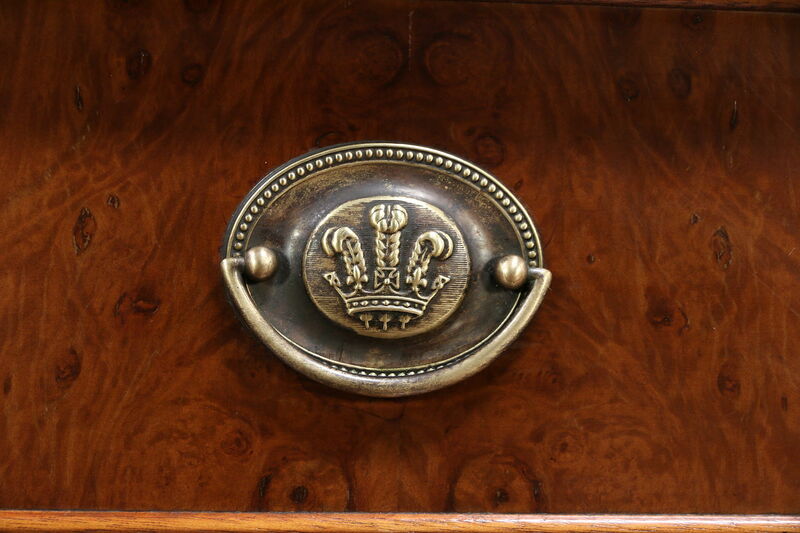 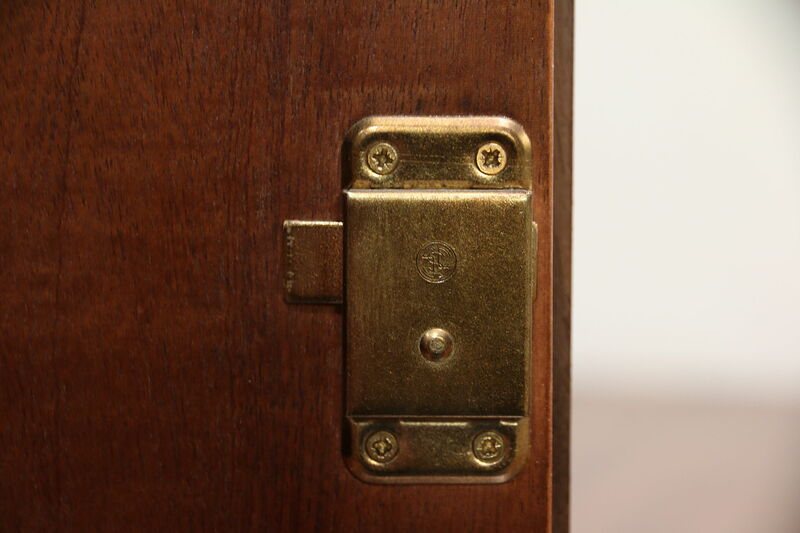 Drawers have original brass pulls embossed with the three feather crest of the Prince of Wales. 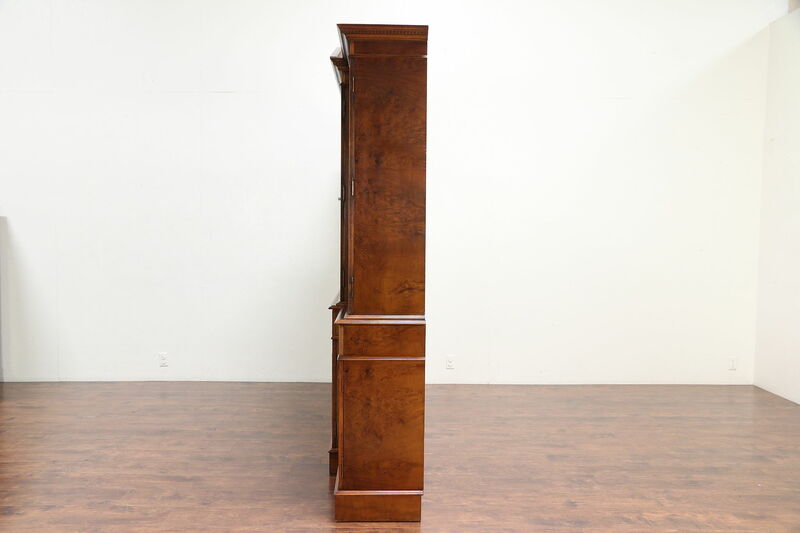 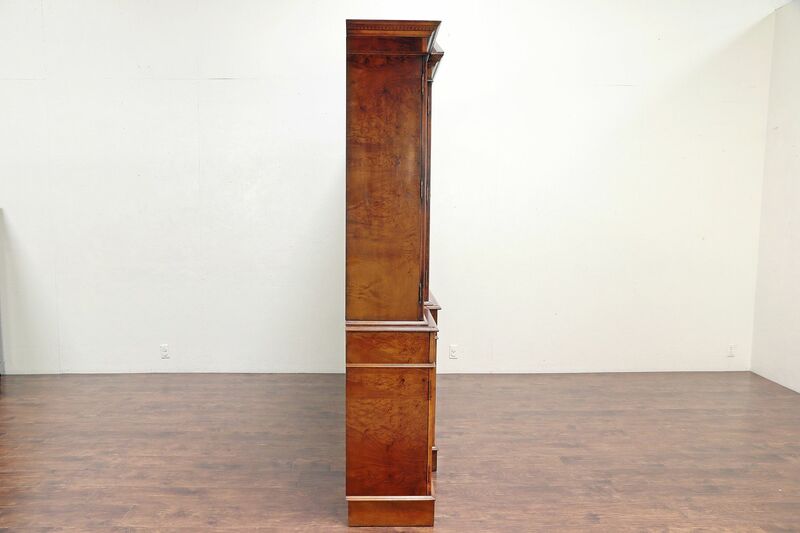 Dimensions are 91" wide at the crown, 18" deep and 94" tall to the tip of the classical pediment.